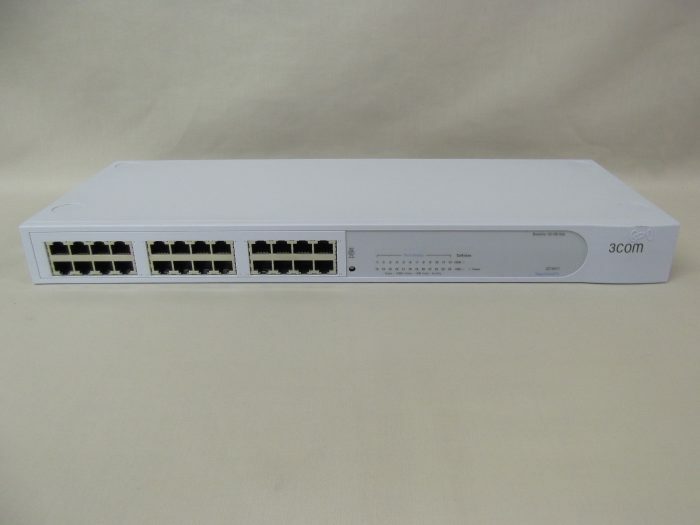 The 3Com® Baseline Dual Speed Hub 24-Port is designed to meet the LAN connectivity demands of small to midsize businesses or branch offices that need affordability, reliability, and ease of use. It lets you seamlessly mix Ethernet and Fast Ethernet devices on the same LAN; automatically sensing the connected device’s speed to give users the appropriate bandwidth for their individual application needs. True plug-and-play installation means you just connect the hub to your network; it takes care of the setup. And as your office needs grow, you can easily scale capacity by connecting additional Baseline hubs together, using the MDI/MDIX port.